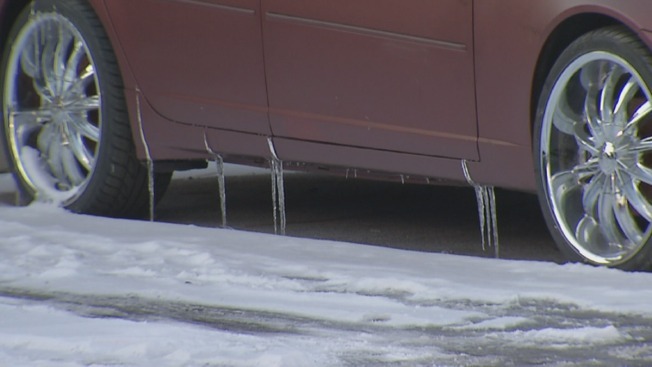 Frigid temperatures can wreak havoc on your car, but there are some very specific precautions drivers can take before the bitter cold weather kicks in. Drivers can address some concerns the night before to prepare for their commute the next morning, such as raising the windshield wipers so they don't freeze to the glass. The biggest concern is the car’s battery, according to Jana Tidwell, manager of AAA mid-Atlantic Public and Government Affairs. Filling up the gas tank the night before will also diminish moisture which might cause future engine problems. Is Your Fireplace in Good Shape for Winter? •	Get a checkup. Give your car a complete once-over, especially if it is older than five years. Make sure all belts are tight and hoses are not leaky. Test all lights. •	Check tires. During cold weather, tire inflation pressure decreases 1-2 psi for every 10 degrees of temperature change. Make sure pressure levels match those found in either the owner’s manual or on the driver’s door jamb, and note that pressure levels may be different for front and rear tires. Visually inspect tires for cracks or bulges, and ensure tread depth is adequate. Worst of the Winter: Brutal Cold Slams Eastern U.S.
•	Oil and filters. Be diligent about checking the oil and filter on a regular basis. Low oil level, as well as dirty oil, can compromise your engine in extreme cold. •	Keep it clean. Get your car to the carwash frequently to scrub off de-icing chemicals and salt. Besides eroding your car’s paint, these items can also reduce visibility by clinging to windows and mirrors. •	Pack a bag. Don’t leave home without an emergency kit in the truck with a fully charged cellphone and charger, ice scraper, shovel, jumper cables, flashlight, blanket, drinking water, and a high-protein snack. Kitty litter, sand or salt will help with traction if your vehicle becomes stuck.